Amanda advises on tax issues related to international tax and transfer pricing, mergers and acquisitions, and tax controversy and litigation. In 2004-2005, Amanda was a law clerk to the Honourable Morris J. Fish of the Supreme Court of Canada. 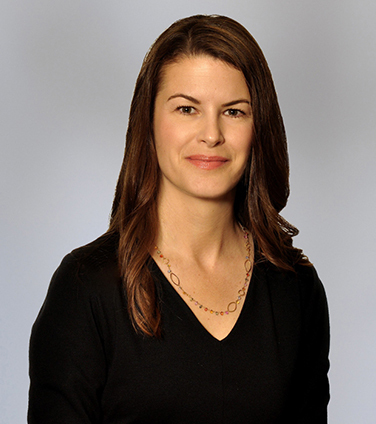 Amanda is a member of Osler’s Legal Professionals Committee and Alumni Steering Committee. At the University of Toronto, she is an adjunct professor at the Faculty of Law, teaching International Tax, and a co-chair of the University Tribunal. TD Bank in connection with Air Canada’s acquisition of Aimia Canada. Silver Wheaton Corp. in its pending transfer pricing appeal in the Tax Court of Canada. COM DEV in connection with its acquisition by a subsidiary of Honeywell International Inc. by way of a plan of arrangement and its spinoff of exactEarth Ltd.
Hydro One Limited in its $1.66 billion Initial Public Offering. McKesson Canada Corporation in its transfer pricing appeal to the Federal Court of Appeal (settled out of court). Canada v. GlaxoSmithKline Inc., 2012 SCC 52, appeal to the Supreme Court regarding the transfer price of the active ingredient in a branded pharmaceutical product. Valeant Pharmaceuticals Inc. in its announced $8.7 billion all cash acquisition of Bausch + Lomb. URS Corporation in its $1.5 billion acquisition of Flint Energy Services Ltd.
Sterling Partners in its $590 million acquisition of MOSAID Technologies Inc.
Equinox Minerals in its unsolicited bid for Lundin Mining and its acquisition agreement with Barrick Gold Corporation. Walter Energy in its $3.3 billion acquisition of Western Coal Corp. by plan of arrangement. Kinross Gold Corporation in its $7 billion acquisition of Red Back Mining Inc.
Magna International in its dual class share capital reorganization by way of plan of arrangement. Chambers Canada: Canada's Leading Lawyers for Business, 2019: Up and Coming, Tax: Litigation. The Canadian Legal Lexpert Directory, 2018: Repeatedly Recommended, Corporate Tax. The Canadian Legal Lexpert Directory, 2017: Leading Lawyers to Watch, Corporate Tax. The Lexpert Guide to the Leading US/Canada Cross-Border Corporate Lawyers in Canada, 2017: Corporate Lawyers to Watch. International Tax Review: Tax Controversy, 2017-2019: recognized as a Highly Regarded lawyer. International Tax Review: Women in Tax, 2017-2019: recognized as a Highly Regarded lawyer. The Best Lawyers in Canada, 2015-2019: Tax Law. Euromoney Americas Women in Business Law Awards, 2013-2014: Rising Star, Tax. Expert Guides: The Legal Media Group Guides to the World’s Leading Lawyers, 2018: Tax. News Analysis: International Highlights in Canada’s 2013 Budget, Tax Notes International, Volume 70, Number 1, April 1, 2013 (co-authored with Drew Morier, Patrick Marley and Mark Brender). News Analysis: Principal International Tax Changes in Canada’s 2013 Budget, Worldwide Tax Daily, March 26, 2013 (co-authored with Drew Morier, Patrick Marley and Mark Brender). Collins & Aikman Products Co. et al. v. The Queen, Taxation of Corporate Organization and Reorganization, Volume II, Report No. 89 (co-authored with Mark D. Brender). The Estate of the Late Donald Mills v. The Queen, Taxation of Corporate Organization and Reorganization, Volume II. Report No. 88 (with the assistance of Patrick Lupa, Articling Student). CRA Policy Update, Presented at Canadian Tax Foundation Toronto Young Practitioners Group Meeting, October 6, 2010. Recent Proposed Amendments Impact Acquisitions of Control of Canadian Corporations Holding Foreign Affiliates, Acquisition of Control, Corporate Structures and Groups, Volume XXI, No. 1, 2010. Technical Explanation Clarifies Protocol to Canada-US Tax Treaty, Journal of International Taxation, October 2008 (co-authored with Patrick Marley and Drew Morier). Tax Court Rules Non-resident Insurers can Conduct Extensive Business in Canada without Tax Liability, Canadian Current Tax, Volume 18, Number 10, July 2008. New Limitations on Imposition of Interest Withholding Tax, Derivatives and Financial Instruments, March/April 2008 (co-authored with Matias Milet). Foreign Currency Issues Affecting Foreign Affiliates, Council for International Tax Education, Inc., Canadian International Tax Update, May 2008 (co-authored with Patrick Marley). Elimination of Canadian Withholding Tax on Interest Paid to Non-residents, Derivatives Financial Products Report, Volume 9, No. 9, May 2008 (co-authored with Matias Milet). New Foreign Currency Rules: Are They Functional, CCH International Tax Newsletter, Report 37, December 2007 (co-authored with Patrick Marley). Treaty Update, Taxation Law, Taxation Law Section, Volume 18, No. 1, December 2007. Tax authorities take on the treaty shoppers, International Tax Review, December/January 2006 (co-authored).